After reading the report that Apple is planning to introduce its new Light Peak-based high speed interconnect technology "soon", it struck us that Light Peak could help explain some particularly incongruous rumors we've been hearing about the iPad 2 over the past few months. 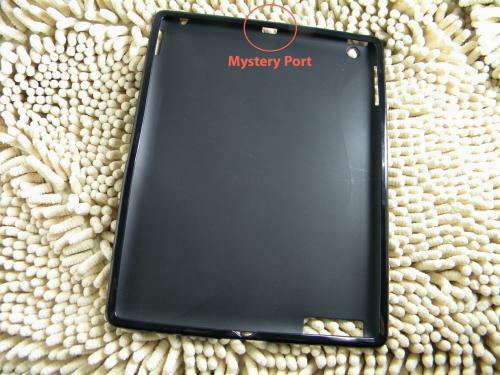 First, is the presence of a "mystery port" on early iPad 2 case designs from third-party manufacturers. The case designs have been remarkably consistent and seem to be clearly sourced from the same design document. These early design documents aren't perfect (third-generation iPod touch camera being a notable example), but early case designs have generally done a good job predicting upcoming Apple hardware. Some have tried to identify the additional port as a Mini DisplayPort connector. Others, however, felt it may represent the rumored iPad USB port that has been predicted a couple of times (1, 2) over the past few months. As it turns out, the Light Peak prototypes have been using hybrid USB 3 connector connectors that might easily be confused for USB. The exact connector for Light Peak hasn't been described, but it may be close enough to USB to be a case of mistaken identity in the early iPad 2 rumors. 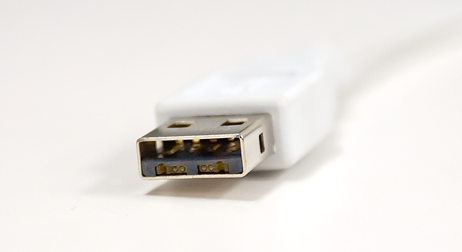 The opening for the port may be a bit small for a full-sized USB connector, though it seems feasible that the Light Peak could also adopt a mini USB style form factor as well. We should note that this is entirely speculative, but thought it could help explain some of the loose ends we've been seeing in the iPad 2 rumors to date. The addition of a new Light Peak port alongside the existing dock connector on the iPad seems like an inelegant solution for Apple, though it's certainly no stranger than Apple adding a standard USB port to the iPad.